Filler(the bottom half of this car seat): 22D sponge. 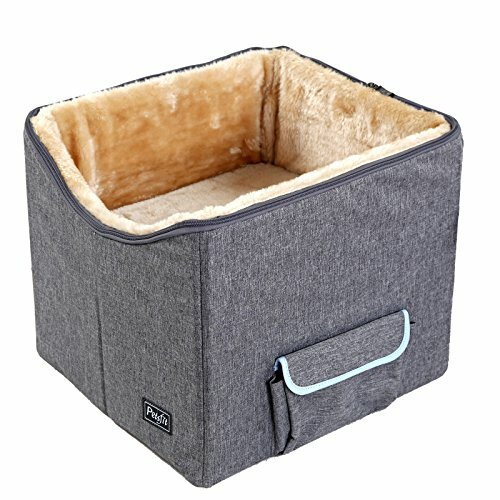 Soft and comfortale cat seat/bed,for CAT or SMALL DOG up to 15 pounds. Reversible lining, light smooth side for hot days, dark fluffy side for cold. Side-pockets can store small toys or treats. MEASURES:15"Lx16"Wx14"H, for the color, you can have the picture for reference.